Organix have launched an online video to help mums understand the role of finger foods in the weaning stages of a child’s development journey. The campaign,supported by research from a team of experts in child nutrition and development, aims to support mums with information and advice on this crucial stage. The ‘Learning to love food is as easy as ABC...’ video also informs parents about social skills, and how mealtimes can help babies’ development in this area. “Many of us are aware of the nutritional benefits our babies get from eating a variety of foods, however it’s not as widely known that giving your baby foods of varied shapes and textures can help the growth of areas such as hand and eye coordination, chewing skills, mouth muscles, essential gripping skills, and speech development. 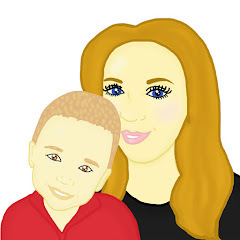 Exposing a baby to a wide range of finger foods at a suitable early age can get them on their way to start practising everyday skills, such as using their pincer grip with their thumb and forefinger, an essential life skill to pick up small objects,” comments Dr Frankie Philips, a nutritionist specialising in child development. Finger foods offer children a great way to explore food and the world around them as they can handle the food themselves, look at it, put it into their mouths to discover texture, taste and flavour, and to learn that their actions can have an effect. They are also an essential part of a baby’s diet, required to help learn the physical, emotional and social skills children need to feed themselves and to have a positive engagement with eating. 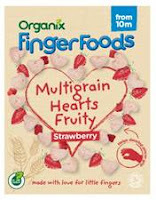 In line with the launch of the video, Organix has introduced two new finger foods to the baby food category - Strawberry Rice Cakes and Multi Grain Hearts with Strawberry. Suitable from seven months, Organic Strawberry Rice Cakes are carefully designed to encourage babies to develop more complex self-feeding skills and progress from grabbing with the palm of their hands, which is the first grip position a baby learns. The texture is firm to hold but gentle enough for a baby’s developing gums. 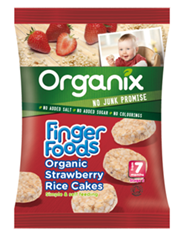 Organix is giving one lucky reader the chance to win a months supply of the new Strawberry Rice Cakes and Multi Grain with Strawberry. The winner will get 8 packs of snacks altogether. To win this fantastic competition please complete the rafflecopter form below.